The LF-Ch has a great stance, and has one of the better Lexus side profiles. Couldn’t believe my eyes when I saw the integrated iPhone docks in the front seat-backs. This car is missing the large panoramic sunroof seen in the other images leaked earlier today. Even better, along with these photos is a full press release breaking down the exterior/interior design decisions, read the full text after the jump. 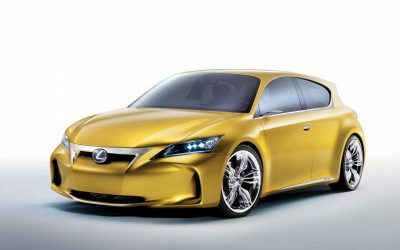 Making its world debut at the Frankfurt motor show, the Lexus LF-Ch full hybrid concept is Lexus’s first approach to the competitive European premium compact segment. 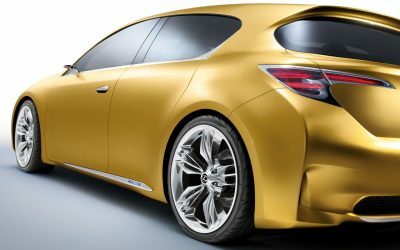 It reflects the growing demand for cars that are smaller and more fuel and CO2 efficient, but with no compromise in levels of refinement and driving pleasure. 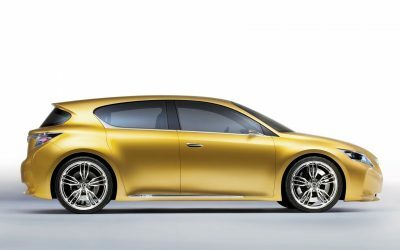 By next year the compact segment is expected to claim the largest share of the European premium car market. 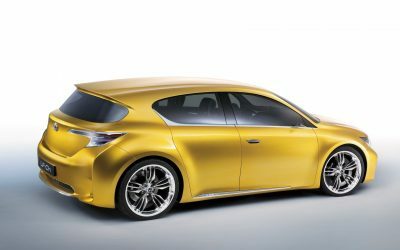 The LF-Ch concept reaffirms Lexus’s commitment to Europe, combining compact dimensions, stylish five-door, full hybrid technology and low emissions to satisfy the most demanding customer requirements and to appeal to a new, younger generation of customers. 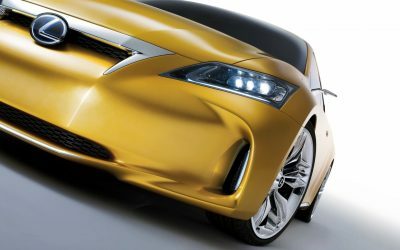 The LF-Ch concept presents a powerful evolution of Lexus’s L-finesse design philosophy. 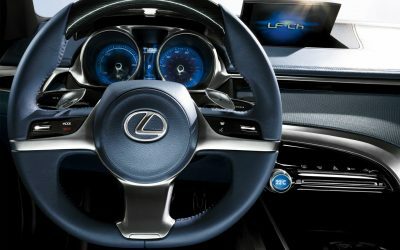 Rooted in Japanese culture, L-finesse is expressed in every aspect of the car, not only in the visual harmony between the interior and exterior design, but also in the combination of leading-edge engineering and technology with a user-friendly simplicity of function. 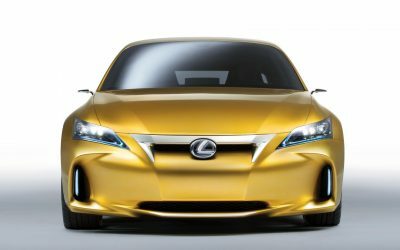 A new, bolder Lexus grille design sits above a deep, full-width bumper and air dam, giving a perfect balance of precision and power. The sharply sculpted, aerodynamic front wings overlap the front bumper to create deep, front brake-cooling air intakes and give the LF-Ch a powerful and purposeful wide-track stance. As with every Lexus, hospitality is at the heart of the ownership experience. 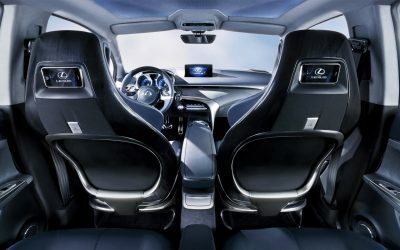 To this end, the LF-Ch’s comprehensive on-board entertainment package includes iPhone docking for rear seat passengers. 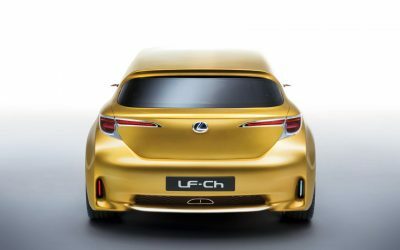 Allied to a wide track, long wheelbase and low centre of gravity, the LF-Ch’s full hybrid powertrain is engineered to deliver all the performance customers expect from a premium compact hatchback, while at the same time returning low fuel consumption, CO2 and NOx emissions.